Sometimes no matter how hard we work out and tone our muscles, stubborn cellulite sticks around. If you’re dealing with this problem, you’re not alone. Nearly 9 out of 10 women struggle with some form of cellulite. Even women in very good shape can struggle with it for various reasons like genetic predisposition and hormones. If you’re like most of us and want to minimize the appearance of stubborn cellulite, here are some tips on how to fight cellulite for good. The sodium in salt is not your friend when it comes to reducing cellulite appearance. Sodium causes your body to retain fluid, which in turn highlights those dimples on the back of your thighs. After a week of cutting out most of the salt in your diet, you should see some results. Processed or “junk” foods not only lead to weight gain, but they swamp your body with toxins. Processed foods also contain a higher amount of sodium and sugar, which both promote cellulite. Hydration is so important for your overall health and the health of your skin. We’ll say it again and again. Drink plenty of water throughout the day, and you’ll be flushing sodium and toxins out of your body before they have a chance to increase the appearance of your cellulite. A regular exercise routine is not only going to prevent weight gain, but it will also work to flush some of the existing fat from your body. Follow the tips above as well for optimal results. 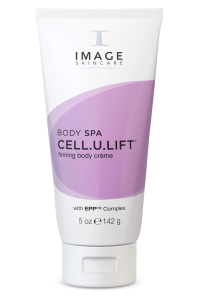 To complement your cellulite fighting efforts, use a body firming crème like Cell.U.Lift twice per day. It’s formulated to fight skin laxity on a cellular level and has been shown to produce tighter and firmer-looking skin with a smooth, hydrated surface.